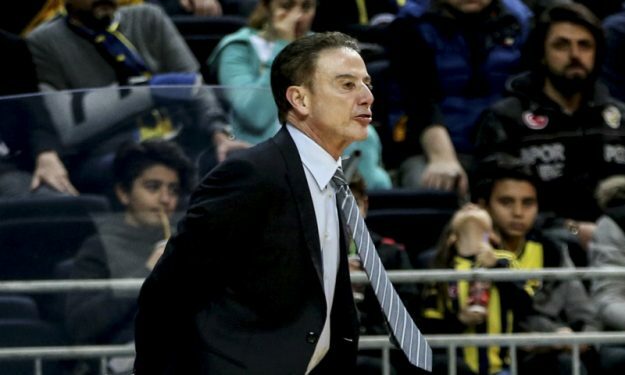 Rick Pitino compared Fenerbahce to NBA teams, stating that they shoot better than all NBA teams, except the Warriors. Fenerbahce BEKO Istanbul blew out Panathinaikos OPAP Athens and mathematically qualified for the EuroLeague playoffs. For Panathinaikos head coach Rick Pitino, his team’s performance was one he’d like to forget. “I would like to throw myself to the Marmara Sea tonight,” Pitino said in the post-game presser. While Pitino was far from happy with how his team played, he had only the best to say for Fenerbahce. He was particularly praising when asked if the Turkish side would play in the NBA. “They wouldn’t be able to play the team defense they are playing in the NBA. They are shooting the ball better than all NBA teams, except the Golden State Warriors. When you think about it, their passes and shots are better than a lot of NBA teams. I don’t know if they would be able to play in the NBA, because the spacing is different. The game is different in the NBA and the EuroLeague. The rules are also different,” said the 66-year old head coach.